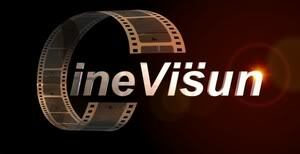 Tagline: ""The Vision of Independent Film in SOUTH FLORIDA""
cine adjective chiefly Brit. • cinematographic : a cine camera. vision noun • the ability to think about or plan the future with imagination or wisdom sun noun • poetic/literary - a person or thing regarded as a source of glory or inspiration or understanding CineViSun |ˈsin�"ˈvi zh ən | noun • representing the vision of the independent film community in South Florida An independent film group dedicated to the further advancement and unity of South Florida's independent film community. Developed for filmmakers by filmmakers with the sole purpose of placing, developing and advancing South Florida on the independent film map.